In the first few weeks of my chemistry class, it’s been fascinating learning about the basics of chemistry, including measurements and states of matter. For our first lab, we mixed acetic acid and sodium bicarbonate and measured the temperature of the mixture. We found that it created an endothermic reaction, which means that the temperature drops as the reaction progresses. I’ll let you in on a secret. Acetic acid is vinegar, and sodium bicarbonate is baking soda, and this is a common mixture for volcano science fair projects. You just need to add detergent so you can make soap bubbles from the escaping gasses. With a little red food coloring, it looks like lava bubbling! We’re using a very interesting piece of equipment, the Vernier LabQuest 2. This device is amazing since you can hook up different probes to measure temperature, light, sound, pressure, and even radiation! You can get information on almost everything. It’s a great tool, and one I wish I had at home too. We’re using the Modern Chemistry book from Holt, Rinehart and Winston in my class. With my dyslexia, it’s not easy for me to learn from just the printed word. Finding the audio book and iBook for my biology textbook helped me out during my high school freshman year. 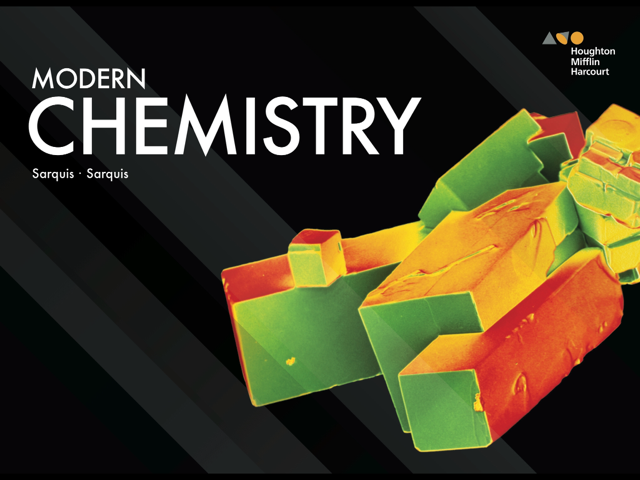 I was also able to find the audio version of my current Modern Chemistry book from Learning Ally and a newer version of the Modern Chemistry iBook from iTunes. With Learning Ally, a human reader reads the entire page, including figures. With my iBook version, I can select portions of the text for my Apple MacBook’s or iPad’s electronic voice to read. The iBook version also contains videos, quizzes, and other nice interactive features. 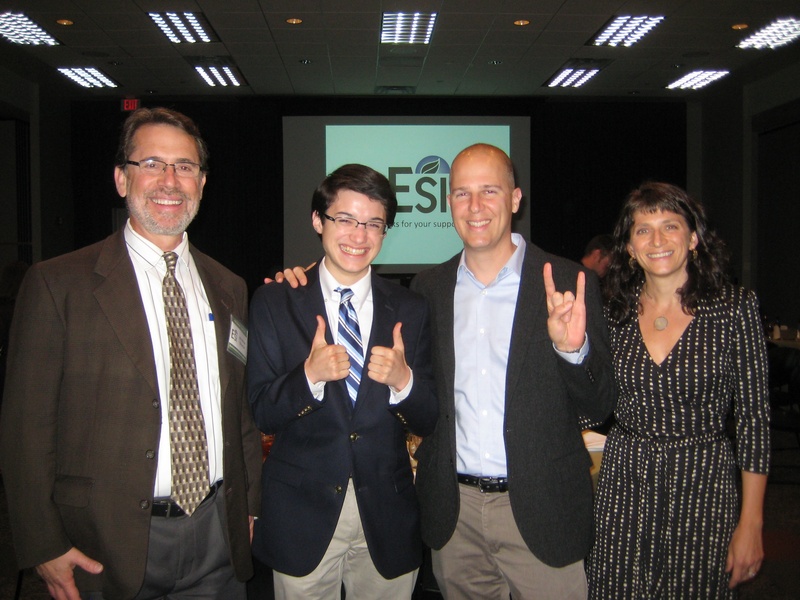 I’ve always loved Hot Science – Cool Talks from the UT Austin Environmental Science Institute (ESI). Hot Science – Cool Talks are a series of presentations where you can enjoy fun prelecture activities and learn a lot about science during presentations given by distinguished scientists. They’ve become very popular over the years, and I’ve been going to them since I’ve been a little scientist guy. With myself and many other Austin-area sophomores learning about chemistry in science this year, what great fortune that the first Hot Science presentation is on chemistry! 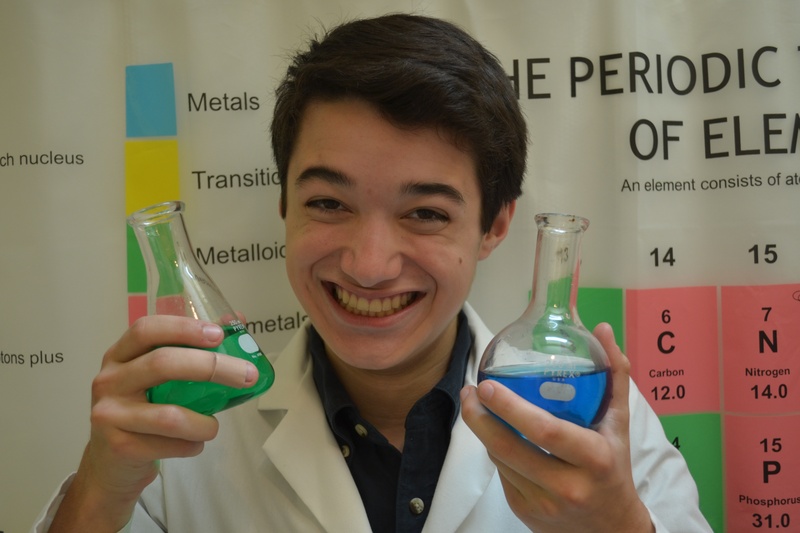 Dr. David Laude will give a presentation on How I Learned to Love Chemistry on Friday, September 12, 2014. The fun prelecture activities start at 5:45 p.m., and Dr. Laude’s presentation starts at 7:00 p.m.
I’m counting on his promise that Dr. Laude will blow stuff up! He’ll make liquid nitrogen ice cream for everyone at the end. See! Science can be fascinating and delicious at the same time. 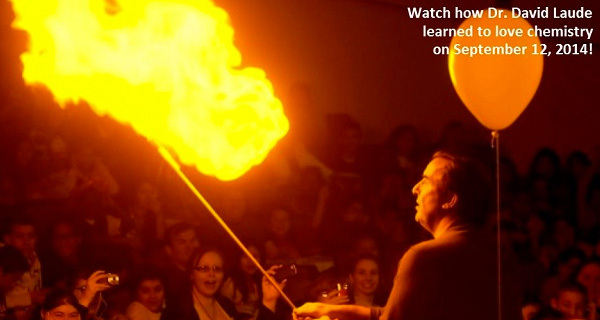 I look forward to seeing you at Hot Science this Friday!